Get Saturday night ready in this insane LBD. 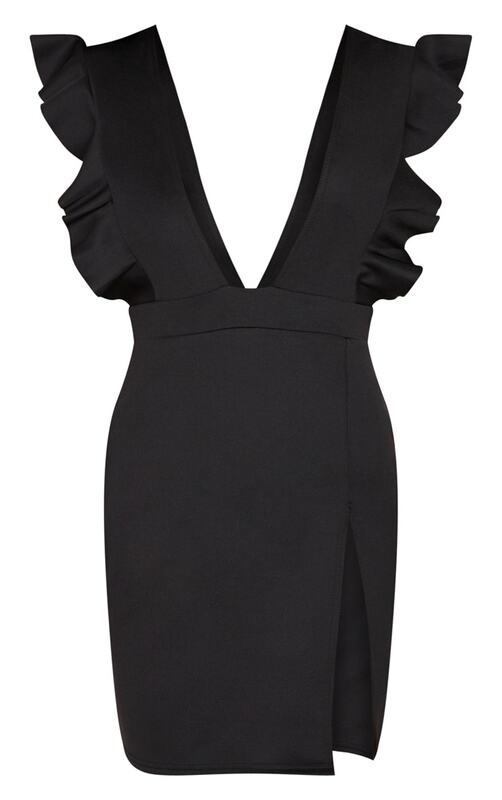 Featuring a black figure-skimming material with a plunging neckline and flattering thigh split, thsi dress ticks all the boxes. Team with strappy heels and drop earrings for a look we're loving.